Probably by now, you have had enough of Maine. But I'm kind of missing it. I have no idea why I love Maine so much. But I just do. Guess there's no explaining what a heart craves. Here's a few final photos of our Maine adventure. Me, enjoying Ocean Point, wishing to stay there all day. Well, that's a wrap on Maine for now, friends. I hope to get around and visit all of you to catch up with what's been happening in your world. I've missed my visits! 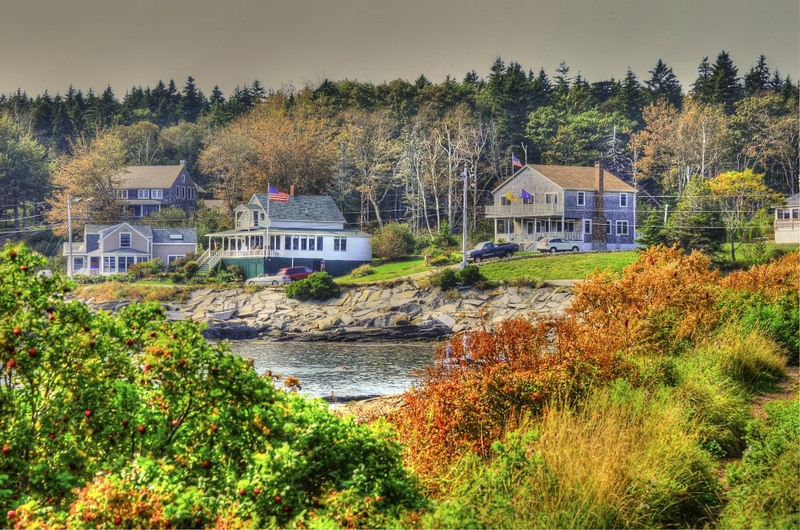 Maine is such a colorful state! I guess being near the water accounts for a lot of that. Very nice! the deckers cove picture really appealed to me. Nice variety of color. Too rocky and cold to swim there - right? 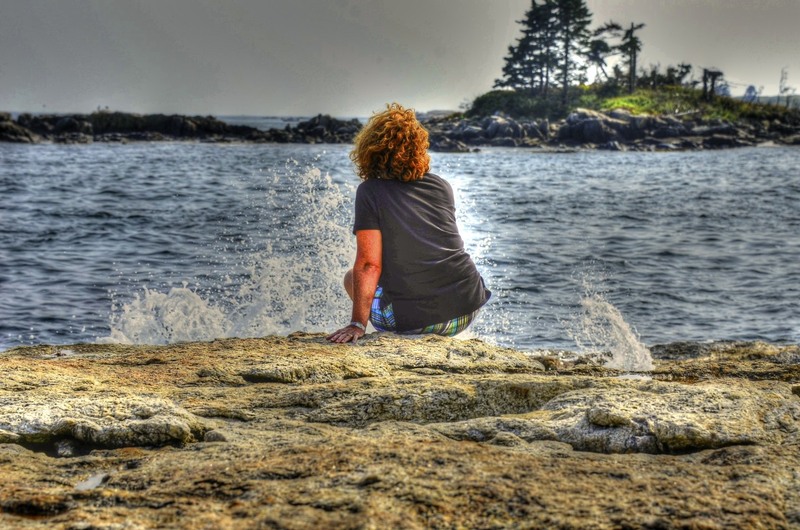 I've never been to Maine, but your photos bring it home. Beautiful. It is on my wish list now. Hi Renna...I am very pleased being a Maine'ah of the way you have presented these faboulous images of your visit here! I have enjoyed everyone of them! Maine looks amazing. I've never been but I can see why you love it so much. Great job with the photos. Your photos have the neatest "look" to them. What a grand place to be. It looks very nice indeed, all that water and the open spaces, I think I'd enjoy it there. By the looks of those photos we can see why you would miss it ~ beautiful! 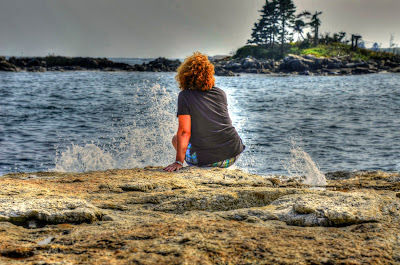 I think I love Maine now, too, although I've never been! Love the vintage look of your photos. I can understand why you love it -- so do I and all I've seen of it is through your terrific captures! As I've said before, it's a state I've always wanted to visit and one of the few I haven't gotten to visit! But as I've said before, your photos are the next best thing! Hope you have a great week, Reena! So Lovely...all these shots. I can see why you love it there so! Okay... print these up as postcards and send them to me, pronto. Thanks. So lovely. I wonder if I took a picture of the serene corner of Sugarhouse where I live (as I can't afford to go anywhere at this point in my life) with the bum asking for money with a cardboard box, if you would find them serene? I think I'd have to jazz it up in black and white and pawn it off as art. Maybe then? Yes? I can clearly see why you love Maine and I've never even been there. Your pictures capture it all so beautifully! These are such great photos.. I can see why you love Maine.. It looks so beautiful there..
Loving the HDR processing - gorgeous gorgeous gorgeous. 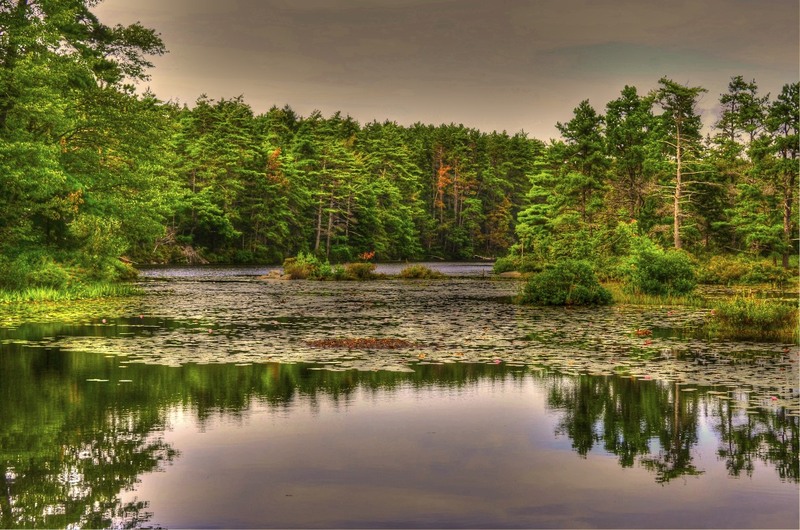 I love the lily pond in HDR ~ the grays & purples remind me of the lake I used to live on, I miss it. If your like me, I always need a vacation after my vacation, takes me so long to fully unpack and get into the swing of things again. i will never tire of these colors and the richness of the hdr effects! Growing up my family vacationed all over the United States...Maine was one of the places my father talked about visiting...Tho, we never did. I'm taking that trip now through your blog...Thanks! Oh these are so very gorgeous . You sure so some amazing edits. You know I would never tire of your Maine photos. I love the coast of Maine, too. No wonder you are missing Maine, it looks just too beautiful and relaxed!!!! Thank you for sharing so much beauty with us. Such beautiful photos with that lovely vintage tone to them...takes me back to my childhood when I went with a friend's family up to Maine. Such memories! You make Maine look so romantic! I want to visit! I could sit allday also. thank you. my short time in new england was a wonderful time in my life and these images make me feel so good:) i especially liked the first with the soft sunlight on that canvas. Reena, who pretty pictures, I'm happy for you, Thanks for sharing with us. you have a great eye in capturing the essence of maine!! Love this more than you know. I don't think that I could ever get tired of seeing pictures of Maine. I used to always watch the show Murder she wrote and fell in love with the little town of Cabot Cove. I've never been to Maine but it has such charm that I've always wanted to. Reena, I loved the photos, the journey, and your HDR processing. Too cool. Thanks! I love your 101 things. too. Love the processing on these pictures! Just my opinion, but one can never have too much of Maine, and I have so enjoyed the photographs of your trip. These are just beautiful, especially these second one. This is simply gorgeous Geanina! I love the way that beautiful golden light is "peeking" through the leaf. So nicely seen and photographed. 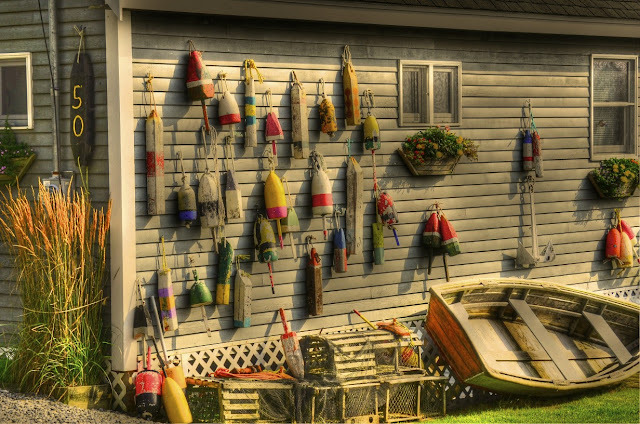 I love the buoys - and I love seeing Maine through your eyes. My internet has been giving me fits and I'm just now back to being able to comment . . .
You do a such a great job with photos. I love visiting you and seeing what you have brought us. Maine is beautiful. So many beautiful photos it is hard for me to say which one is my favorite. Maine certainly is a gorgeous state. I know why your going to miss Maine, because it's sooo darn beautiful. Great photos, so crisp and colorful, I enjoyed looking at what you saw. Hi! Thanks for stopping by my blog, I too LOVE that tree shot. It is actually a beautiful photo both SOOC and B & W.
I can see why you love Maine so much! It is beautiful!! You have done a lovely job capturing it! Just wondering do you use a strong saturation on your photos in this post? Gorgeous! Maine is an easy place to love. Since I live in California I've only visited a couple of times. I'd love to return. Love the post-processing in these shots. Maine looks just stunning! Your first shot is like a memory of another time and era, of the days of sail and solitude. Your love of Maine is like mine of Vermont, I may never go there again, yet I will always miss the place. Thank you for sharing with the rest or Our World. 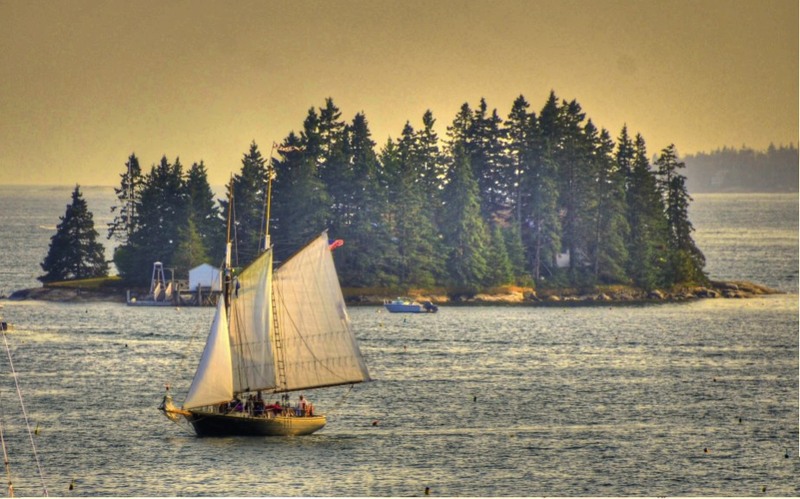 Hello, your Maine photos are just wonderful. The coastline is just beautiful. I could go again myself. Thanks for sharing your photos. Hi there - Maine looks like a great place to visit. Not sure I fully embrace the "hyper-reality" processing - but the colours are remarkable. Gorgeous shots Reena! glad you had a wonderful time! so happy to have been there through your eyes ...just stunning each one! Beautiful images...and your editing treatment made them so mystical. I love Maine too. i keep thinking about these pictures, how special they are. your blog title is missing moments but your not missing anything!!! Is the progam you used on the photos on your camera? The pics look like paintings. Great collection! Like your editing too. love these captures and thanks for sharing them - i guess Maine is on my list now - so much you have posted I would love to see with my own eyes!! It looks like a place to love. Lots of water, interesting buildings and people who are genuine. What's not to love? I've very much enjoyed your tour! Gorgeous ... and you've mastered the HDR for sure .. props to you!!!! Just have to say these are awesome pictures of a beautiful place. 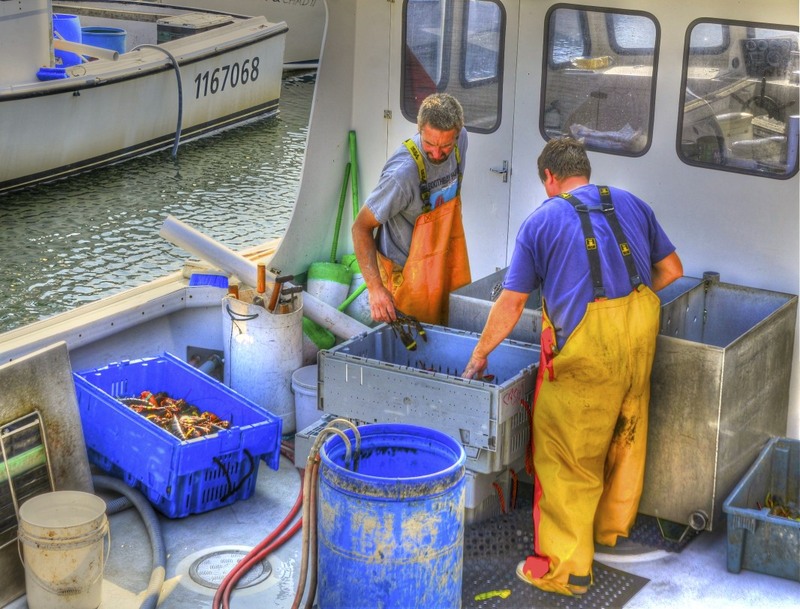 I love the pic of the fishermen in purple. Great pics. Cheers reena!! We were in Maine for the first time last summer and we loved it too. 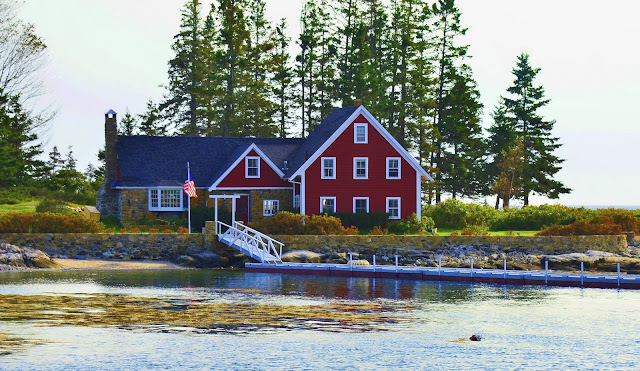 I posted some of the same places (Boothbay Harbor and a house with lobster buoys on the side of it, not the same one, but pretty similar)...but your pictures are much better! I know what you mean about some places just speaking to your heart! We love to travel and enjoyed many different places, but there are some that just almost make you believe in reincarnation or something, because you can't really put a finger on why it calls to you! But it does. You are really making me want to plan a trip to Maine! These photos are gorgeous and so colorful and inviting too! The perspectives and colors are perfect. This defines Downeast. 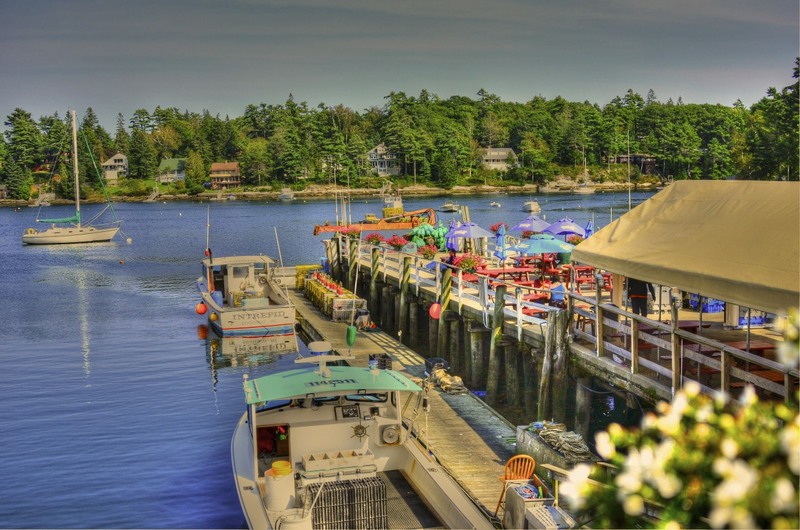 You've captured the essence of Maine! The texturing on your photos is wonderful. I'm missing Maine too - and I wasn't even there! I love the editing you've done on these wonderful photos! As always I so enjoy a visit to your blog and your beautiful photos. Have a beautiful holiday.